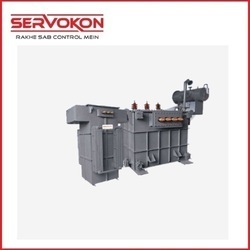 Manufacturer and Exporter of Transformer, Rolling Stabilizer, Automatic Stabilizer, CVT, Transformer, Inverter and various types of industrial transformers. 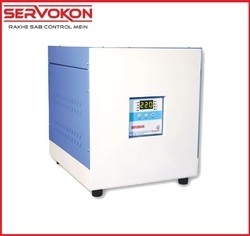 Servokon Systems Limited Is one of the leading Manufacturers & Exporters of Power Conditioning Products in the Industry. 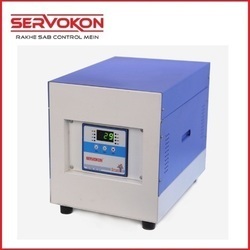 The Company established in 1990 and since then has made a renowned presence in the Domestic market and more than a decade in the international market under the brand name "SERVOKON" Servokon is professionally managed ISO 9001: 2008 certified company with a churning turnover of over 20 crores and expanding at a higher pace every year. We have strength of more than 150 professional and trained personnel force at all levels to meet the commitment to provide highly reliable, robust and Versatile Products and prominent services. We have successfully maintained the highest levels of customer satisfaction through the influx of quality control measures in all areas of operations. Our Product range includes HT AVR, Transformer with Built in AVR, Rolling Contact Servo Stabilizer, Servo Voltage Stabilizer, Distribution & Power Transformers, Online UPS, Variable Auto Transformer (Variac), Automatic Stabilizer, CVT, Isolation & Ultra Isolation Transformer, Inverter and various types of industrial transformers. Constant R & D and Urge to catch up the changing market we introduce new products on a regular basis. Our products confirm specifications as per IS: 9815-94, IEC & BS standards and are designed to suit specific needs of the individual customers. Quality and standard of our product has been approved by various National Inspecting Agencies viz. Engineers India Ltd, (EIL), RITES, Department of Industries, Haryana, SGS, CPWD, DGS & D. Our products confirm specifications as per IS: 9815-94, IEC & BS standards and are designed to suit specific needs of the individual customers. Quality and standard of our product has been approved by various National Inspecting Agencies viz. Engineers India Ltd, (EIL), RITES, Department of Industries, Haryana, SGS, CPWD, DGS & D. Being in the industry for over 2 decades, we have an enormous clientele, to name a few: Govt. Sector : Railways, Defence, NTPC, NHPC, Indian Oil, Hindustan Petroleum, Delhi Jal Board, Ministry Of Social Justice, Doordarshan, IIT, Hindustan Aeronautics Ltd., ITI Ltd., State Bank Of India, National Physical Laboratory, AIIMS. Phe (J & K) etc. Corporate Sector : Airtel, Vodafone, Motorola, Mother Dairy, Jai Prakash Associates, Jet Airways, Amar Ujala, Times Of India, Sahara India, Canara Bank, ING Vysya, HDFC, Corporation Bank, PNB, UCO Bank, State Bank of Patiala, Bank Of Baroda, Appolo Tyres, Escorts, KFC, Pizza Hut, Mcdonalds etc. International Presence in Nepal, Bhutan, Bangladesh, Saudi Arabia, UAE, OMAN, West Indies, Afghanistan, Sudan, Nigeria, Lebnan and growing.